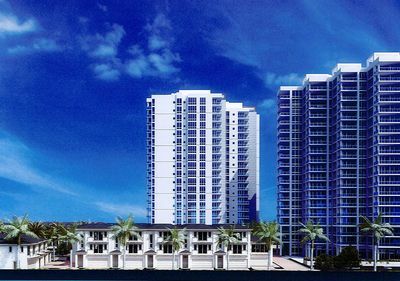 Written by admin, March 7, 2014, 4:40 pm under Condos For Sale North Palm Beach. When buyers start looking at condos for sale North Palm Beach living, they’re attracted by the amenities, the convenience, and the long list of typical homeowner responsibilities they get to sign away — maintenance and grounds upkeep being the biggest. There’s such a sense of everything being taken care of that there are often buyers who don’t think it’s worth the time and money to hire a professional building inspector before they agree to purchase a condo. Indeed, the cost of an inspection might seem like such a relatively high percentage of the purchase price they might balk on that alone. But it’s important to recognize that although they’re not buying mansions or palatial waterfront homes North Palm Beach buyers in the condo market are still making a sizable investment — and the cost of an inspection will always pale next to the cost of fixing a problem. An inspection is every bit as important for a condo as it is on any of the houses for sale North Palm Beach buyers need to consider that while a condominium association will usually take great pains to maintain common areas in a complex, the space within your own walls is always the owner’s responsibility. Issues including wiring, heating and cooling, plumbing and even structural problems can be identified by a licensed inspector early on in the buying process; even if any problems they uncover aren’t “deal killers,” the estimated cost of fixing them can be incorporated into whatever offer you choose to make on the property. Last but not least, an inspection will give you peace of mind knowing you won’t be on the hook not only for damage faulty construction can cause to your own home, but those adjacent to you; an inspection is like having an extra insurance policy in your hip pocket!